Tonight the Dallas Cowboys won against the Green Bay Packers 37-27. They are now guaranteed a spot in the playoffs!!! GO COWBOYS! The cowboys have a record of 11-1. . . James and Ian were a little worried . . the Packers had a few plays that looked as if they might come back and win. . .but the Cowboys pulled through and won. . . Haven't slept much, going to bed. . . I don't know how many of you are coffee drinkers, but as a night shift girl. . .Believe me, I am!! The only way I can keep going with so little sleep! I just wanted to share with you one of the BEST secrets to my coffee that I drink daily. . . It is Coconut Creme!! And it is heavenly!! 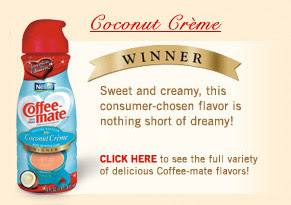 Coconut is one of my favorite flavors-add it to coffee--Who needs Starbucks? I have saved lots of money on buying coffees at my favorite locations--Starbucks, McDonalds, even my friendly neighborhood Sunoco ; ) since I have found this. . . YUMMY! If you like coconut, and coffee--It's a must try for you. . . You'll try it and then you will be hooked!!! Guaranteed! Just felt like putting a little "Allen Advertisement" on my blog. . . No, seriously, just wanted to share my small little bit of "happiness" this morning with you guys. . . Like I have said before, It doesn't take much to make me happy. . . Well, worked last night, but it is time to kick it in to gear and get the kids on the ball. 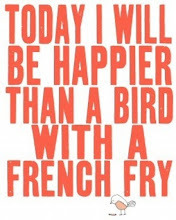 . . Have a great day!!! Good Morning. . . As you all know, the play is fully underway this week. . We have done 2 performances already, with 5 more to go! This morning in the Kingsport Times News, The Go-Tri-Cities section, is an article which features the play. 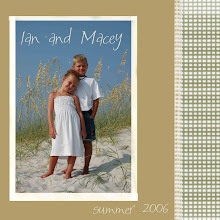 Be sure to check it out. . .There is a great picture of Ian!! The picture isn't featured online, but here is a copy of the article. Be sure to check it out. . .Gonna be a great way to "start off" your Christmas activities this weekend!!! Horrible Herdmans return in KTG’s ‘The Best Christmas Pageant Ever’For nearly a decade, Kingsport Theatre Guild’s annual production of “The Best Christmas Pageant Ever” — Barbara Robinson’s classic tale of “the worst kids in the history of the world” — has been a seasonal staple in the Model City, and this year will be no different.KTG will present the play, about six very unruly children who teach a whole church about the true meaning of the birth of Christ, at 7 p.m., Friday and Saturday, and at 3 p.m., Sunday, at the Kingsport Renaissance Center. School performances will be held at 10 a.m., Thursday and Friday, and the public is welcome to attend those as well. Admission is $5. The box office opens 45 minutes prior to curtain, or tickets can be purchased in advance by calling 392-8417. The Herdmans are the worst kids to ever live. They lie, cheat, steal, smoke cigars and burn down buildings, and they’re the biggest bullies in school.So, everyone is surprised when the Herdmans decide they want to be part of the annual church Christmas pageant and then bully their ways into the main roles, even though they’ve never even heard the Christmas story before. But they’re even more surprised when the Christmas pageant turns out to be the best one ever. This year, as in years past, entire families are involved in the production.“Rev. Bill Steele, pastor of Litz Manor Baptist Church, his wife Patricia, daughters Danielle and Bethany and son Aaron are all in it,” Scoggins said. “Robin Broome, who plays the mother, started out several years ago in the role of Mrs. McCarthy, which Robin’s daughter Amanda is playing this year.”Zach Schaftlein plays Charlie Bradley, and Tessa Hutson stars as his sister Beth, with Robin Broome and Bill Steele playing their parents. Charles Greefield, Andrew Hurd, Ian Allen and Danielle Harrell star as the Herdman gang. Rounding out the cast are Amanda Broome, Patricia Steele, Abi Bell, Michelle Bacon, Alexandria Ingram, Christian Bell, Lydia Hyche, Presley Bacon, Lucy Rose George, Grayson Miller, Bethany Steele, Daniella Steele, Macey Allen, Emily Cross, Kaylee Street, Bowen Bacon, Wyatt George, Cade Allen, Stan Sanders and Aaron Steele. The play is sponsored by Eastman Credit Union.For more information, call 423-392-8417 or visit kingsporttheatre.org. Ian's team, the Wildcats had their Football banquet at our church gym tonight. They recieved their championship trophies, and had pizza and a movie. . .This such a great bunch of boys. They had a great time playing football, basketball, and spending time together one last time this season. . . Such a great bunch of boys. . .I am so thankful for Ian's friends. He has such really sweet, Christian friends. I hope they stay close all through school. Here are a few pics from the day. . I had a photography appointment, so I didn't get any pics of the trophy presentation. . .but when I arrived I asked the boys to pose for me. . .: ) Who's number 1???? We are!!!!! A crazy shot. . .The boys just being silly. . .
First Performance a HUGE Success! The kids had their first performance this morning of the Best Christmas Pageant Ever. . . It was a full house! We are going to be showing this show to 1100 children this week during the morning school performances! Unbelievable!! All 3 of the kids had a blast. . .I let them sleep in this morning. . until 7:30 (which is sleeping in for them!) Espcially Ian , (otherwise known as Ollie Heardman. . . . I have to say--he looks tough, doesn't he? What happened to my babies? I have shed a few tears today. . .All 3 of them on the stage. . .I don't have a baby anymore. . .) Ian, who has to be at school by 7 every morning for tutoring. . . I woke them up and took them all out for a special breakfast with mom. . . It was a "Break a Leg" breakfast. . . and not break your leg--in a "Heardman" sort of way. . .(If you don't know this story--come see the play-You will get it then) The kids were so excited. . The first performance is always a great one because you get to see all of the kids hard work, time, and patience put into the show all come together. . .Great Job Cast!!!! Here are a few pics that I took during the show today. . .Everyone laughed over Cade saying "Baa!" He was so cute. . . I have to say Cade thouroughly enjoyed himself. . .He baa'd louder than any sheep I have ever heard. ..I think he was the cutest sheep too!!!! I think we have another Theatre Junkie. . He already said "when is the next play mommy?" My baby is growing up. . . (shed a tear) Macey doesn't have a speaking part this year, and it has really been difficult for her. She wants to do this probably more than the boys. It is her dream to be an actress, and she was really down hearted this year. I told her "There are no small parts, only small actors" (another line from the play) Macey does a wonderful job keeping a smile on that beautiful face of her. She wanted to quit in the beginning because she didn't get the role she wanted, but I think she has a wonderful christian attitude. We have talked alot about this, and how you have to work your way up--to get the BIG roles. . . So she has taken her role of baby angel and enjoyed it! She has gotten to spend alot of time with Cade--and he looks up to her so much. He thinks Sissy is his second mommy. . . I know Macey is a blog reader, because she wants to read my blog everyday to see what I have put on it. . 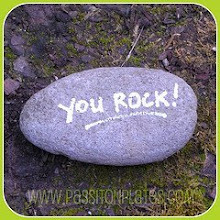 So Mace--this is for you. . .You are my superstar. . .I love you more than you will ever know. .And I have a question for you. . . Can I get your autograph now--because to me you are the STAR of the show. ..Love you. . . Here are the the 2007 School Pictures. 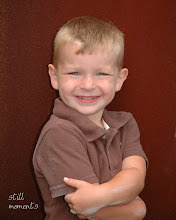 . . Not bad for school pics. . . except for the fact that Cade is crying. . . What else is new? At the first of the school year, he cried quite a bit. . .Not now though. . He is Loving school!!! I had this blog draft posted for a while, but kept forgetting to scan the pics. . So here they are. . . . These are a few things that the kids said this week that cracked us up. . .
"Mamaw? Can I have some grapes?" Mamaw places some grapes on a paper plate and hands them to Cade, " I don't want that plate! I want a plate with walls!" "Mom! You have to see this van! It is Awesome! I saw the commercial on TV and it has a Game room in it!!! Can you believe that?" "What kind of car is it, Ian? I asked. "Mom, don't put that on your blog,"Ian said. . . .
"You know me too well my child," I said smiling--already thinking about blogging this one. .
James' family celebrated their Thanksgiving meal on Friday night. . .I wasn't in charge of the camera tonight--had a headache. So James didn't take near as many pictures as I would have. . I also didn't take any of him. I hate that I didn't. . . but can't do anything about it now. Sorry James. Everyone got together at his sister, Teresa's house. We couldn't stay long because I had to work, but the kids enjoyed getting together with all of their cousins. Here they are eating. . . Here is a pic of James' dad and me getting something to eat. . .The entire Allen family was so thankful to be together this year outside of a hospital. Last year the entire holiday season was spent in one hospital setting or another due to Rita's stroke. 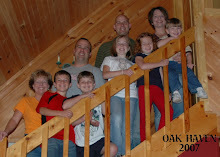 So to all be together was a special time for the Allen's. We celebrated Thanksgiving at my mom's house. . . This year it was just my family, my sister and her family usually come in for Christmas, so they didn't make it for Thanksgiving. We missed you Kristie!! Love you lots! We invited James' mom and dad to come and spend time with us also. We had a great day. My mom brought some of her casseroles to our house early Thursday morning because she didn't have room in her oven for all of the things she had to bake. . .We were glad to do this for her. . .I offered to do more, but she likes to do these things herself. 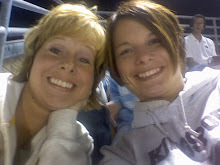 . .; ) Here is a pic of my mom and me. . . pretty cute. . . She hates to have her picture made. . but I do it anyway. . .I can't wait to tell her about my plan to do a shoot of her and daddy with the kids. ..: ) Daddy and me. . .Not often do we get our picture made together, and he still has to act silly. . .I finally got him to just act normal. . . I still think he was trying to say something in this pic. . . The kids with Mamaw Allen. . She walked from the car ALL the way up to my mom's front door with her walker. She said that was the farthest that she had walked in a while. . .It was hard on her, but she said "good for her too". For those of you who don't know, James' mom had a stroke last November, and is on a walker most of the time. The kids with both of their Papaw's. .How much better does it get? Two Papaw's in the same room? So, we had a great time just spending time with family and talking. Before I start talking about our after Thanksgiving shopping plans, I wanted to post a list of the 10 things that I am thankful for. I am a serious blog stalker. . .and one of the blogs I read is a girl who lives in Missippi. She has an AWESOME blog site. . .and we don't even know each other. . . even though I feel like we are Best Friends. . . Anyway, She put a Thankful list on her blog--so here is mine. . . .
21 Things I am Thankful for. . . .
21. My Blog! (I love being able to share the important things from my life with family and friends. It is such a wonderful thing! After dinner, James and I mapped out our plan for our Black Friday shopping day. . . .Here is a pic of Me and My Honey. . . He is such a sweetheart. . .every Thanksgiving, he helps my mom clean up the kitchen, washes dishes, and puts up the food. I am so lucky to have such a wonderful husband!!!! Love you James! Going through all of the circulars in the paper. . . that is always lots of fun to me!!! I want the 22 inch desk top computer screen!!! at Circuit City! That is first on my list. . . .I know I have been counting down the days until Christmas on my blog for quite some time now . . .Christmas is my FAVORITE holiday! I decorated my blog site early, and I also decorated my house early! We have our Christmas tree up and decorated. . . Our stockings are hung by the chimney with care. . . and so on and so on. . .We only have a month to enjoy our Christmas decor, and I want to enjoy every minute of it!!!! Because once Christmas is over--Down it comes!!! I am not one to leave it up after Christmas. . . So I would rather put it up early. . . gets one in the mood. . .I worked last night, and I am still wide awake, so decided to post an entry, and I am sitting here in my den typing by the light of the Christmas tree. . . I just love that. . .We have always put our tree in the living room, and decided this year to put it in the den. . I just want to enjoy it all the more. .We spend most of our time in the den, so that is where I wanted the tree. . .We moved some furniture around, and it looks beautiful!! Well, hope everyone had a wonderful Thanksgiving. . .
One of the mom's at Macey's Thanksgiving at school made this dessert. It was SO good. I am going today to buy the ingredients to make this one. . . Just thought I would share. . .It is a Paula Dean recipe, so you know it has to be good. Believe me!! If you like pumpkin pie, gingerbread and cool whip. . YUMMY!!!! Can't wait to try it out on my family. 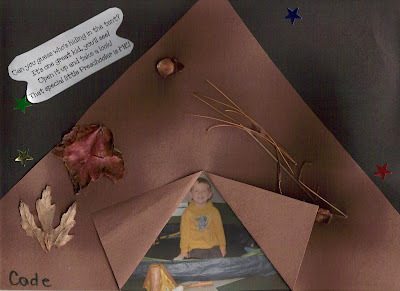 . . . .
"Can you guess who's hiding in the tent? It's one great kid, you'll see! Open it up and take a look! That special little preschooler is ME!" Macey's class had a family Thanksgiving meal today at school. All of the parents volunteered to bring the meat, veggies, and TONS of desserts! It was such a wonderful turnout. In all of the years that my children have been at Jefferson, this was the first time we had a Thanksgiving meal like this. The kids were so excited and ate and ate and ate!! When everything was setup and we were ready to begin eating--one of the parents said that we weren't allowed to say a blessing, but could give the kids a moment of silence. The parents discussed this among ourselves and decided that this would be a rule that we ALL agreed to be broken. So the entire class stood in a circle, Miss Keys, and all of the parents, holding hands and praying to OUR God!!!! Such an awesome feeling. To hear someone talking to our Lord, in the middle of the school, and everyone in the room is in agreement. It made the hairs stand up on my arms. . . God is the only reason we have to be thankful. He has given us everything that we have. And it felt so good to be able to show that to the children in Macey's class. Macey was so excited that James and I both got to come. James took his lunch hour a little late so he could spend it with Mace. Macey has a very special friend, Kendall, and we got to meet her parents, and talk with them during dinner.-which was a blessing. Here are a few more of Macey's good friends in her class this year, Kendall, Katie, and Stephanie. . . to name a few . . . and Sophia, Alexis, and Kelsey. . ..
Macey is so blessed to have Miss Keys as a teacher this year. She is a very special lady. She has made such an impact on Macey's life already in only the first half of the school year. 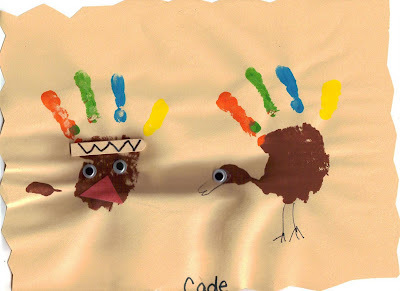 Thanksgiving is a special holiday in which we remember the things we are blessed to have in our lives. My children are one of my greatest blessings in my life, and I think they are so lucky to attend one of the most amazing schools--with christian teachers--that aren't afraid to stand up for what they believe in. God is Good. All the time. I have been doing this Beth Moore Bible Study for the past 5 weeks at chuch. I have gotten so much out of this class. I have always wanted to do a Beth Moore Study and have SO enjoyed doing this one. In the beginning of the class, I didn't think it pertained to me, but during the course of the study, I realized otherwise. Satan is always trying to seduce us, and we need to be prepared by staying in God's word and praying. I feel like this study has helped me get back into the daily routine of spending time with my God. Talking to him. Growing to love him more everyday. It makes me think back to the Chris Tomlin concert on Thursday--How Great is Our God. . . He longs for us, to love him, to put him first in our heart and lives and He is the Creator of the UNIVERSE!!! and he wants a relationship with us! So hard for our minds to comprehend. . or mine anyway. . . On the close of this Sunday night--this was something I wanted to share. Good night. We went to eat lunch after church on Sunday with Duffer and Nicole. We used to go out after church quite often and just due to the business of our schedules haven't gotten to in a while. Our restauraunt of choice on Sunday's is McAlister's. I am not sure why,but it is where we always go together. You don't have to wait in a LONG line, and still don't feel like you are eating fast food. I love the Fiesta chicken wrap and unsweet tea. . .Sounds good right now!!! I didn't have my Nikon with me, but took this pic with my camera phone. . . Pretty good for a phone--but I DO have one of the coolest phones ever!! 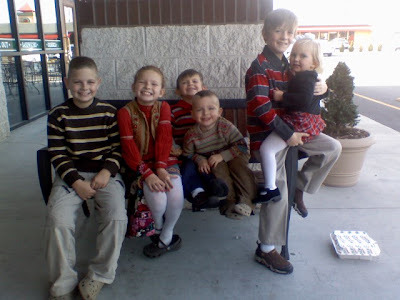 Just figured out how to upload from my phone. . .so here is a pic of the kids after lunch. . Ian, Macey, Cade, Jett, Davis and Rylee. . . . .
Ian, Macey and Cade were in the Kingsport Christmas parade today. . . They are all going to be in The Best Christmas Pageant--and the Theatre Guild decided to put a float in the parade for advertisement. . . for the show. . .Anyway, the kids were so excited to actually "be in" the parade. It was really cold today. . .Everyone had to bundle up! Here are a few pics from the day.Ian and Cade sat together on the float. Cade thought he was a big boy riding the float without Mommy or Daddy. . . Macey sat with her friends. . .She loves the friends that she has made at the theatre. Here is a picture of the float while we were getting it ready. James and I helped put the signs up and the pretty red shiny fringe. . .that the cold wind was blowing like crazy!! Here is the banner that the girls carried in front of the float. . .It was so pretty. . and all of the kids had t-shirts for the play too. . Really uptown this year!! 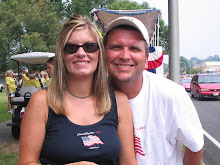 My friend Heather, and her hubby. . .getting ready to watch the parade. . . Here they are waving to the crowd. . .Cade looks like he has done this before! He is such a cutie!! Ian Too! Macey doing her pageant wave. . She is so funny! James and I posing for a picture. . . Ok James--give me the camera back. . enough pics of me. . Watching the parade together. . . . Walker and Cade. . . after Cade got off of his float. .. He was so excited to see his friends. . . Ian and Hunter. . . Macey posing for picture with Mommy. . . She had a great time on the float. . She said she saw lots of her friends. . . Christy and Me. . . with Mace on my lap (keeping me warm) This picture was funny. . .Kevin and James. .they laughed at me for wanting to take their picture. .. . They said there would be NO cheek to cheek photographs for them. . . That is why they are laughing. . .Had a fun day. . . We were going to sit with The Wallen's too, but they had sat at the beginning of the parade and we had to sit near the end, so we could get the kids off of their float. . . . We text messaged each other during the parade though. . .She let me know when she saw the kids. . . Love you guys! We had a fun day. . . I have been editing pictures all evening. . .I am just about caught up. . .Can't hardly hold my eyes open. . . Good night. . .
Ian has started going to tutoring this past week. . . He has to leave 45 minutes before Macey and Cade. When Macey went into the bathroom this morning. . this was what she saw. . . He had gotten Macey and Cade's toothbrush ready for them. . and then left them a "Your Welcome" note. Too cute. . . Ian is a sweetheart. . . 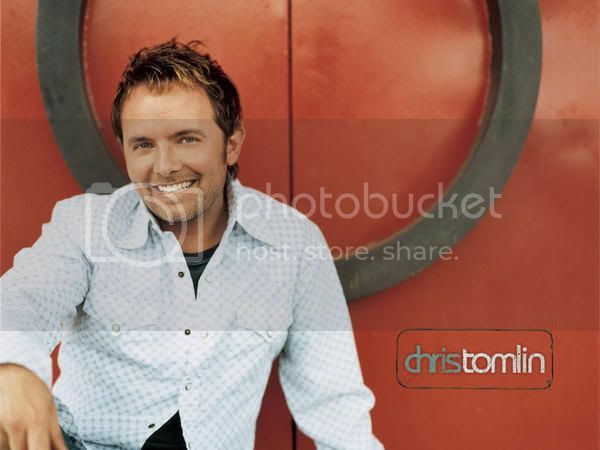 Yesterday morning James called me and asked me if I still wanted to go to the Chris Tomlin concert. . .I hadn't planned on it,because I was scheduled to work last night. . .But I thought I would give my boss a call and see if she would let me come in an hour or so late. I called her and she was perfectly fine with me doing that. . So the work situation was taken care of. . .My mom said she would take the kids to play practice and pick them up. . .One more thing that needed to be taken care of before we get to go. . .Tickets. . . . We decided to go on over to Freedom Hall and just buy tickets at the ticket booth. . . When we arrived there was an older man and woman standing in front of the building. .
"Are you all in need of tickets?" they asked us. "Yes, we need 2. . " I answered quickly. . .
"We had a couple of people not show up that were supposed to meet us, we will sell you these for $20--they are selling them for $30 at the window"the man explained to us. "Great, "James said, and then realized that we didn't have any cash. . .
"Sorry I can't accept debit cards." the gentleman laughed. So we thanked the couple and headed on over to get in line. . . and then a young man came over to us and said "Sir?". James and I both turned to him, and he said , "Are you guys committed?" and James said "Yes, sir". The man asked us where we went to church, and James went on to tell him he was a sunday school teacher. . . He reached in his pocket and handed us 2 tickets. James started to speak--and the man quickly said,"You don't need to know my name or where I go to church--Go on in there and worship OUR Lord. " This story only gets better. . .We were so excited to get into the concert for free that we didn't even notice where our tickets were. . .so after we got inside where it was warm(because it was FREEZING!) We looked at the table, bought us a couple of t-shirts , went to the restroom, and headed towards our seats. . .Looking at the tickets--the seats said FLOOR. . . Hmmmm. . I thought, that could be good or bad. . .If you were way back at the back of the section--Short people like me wouldn't be able to see anything. . . So the Usher led us to our seats and we were on the 6th Row!!! Can you believe it? I was so excited!!! (Now for the bad news. . .I didn't take my camera). . . When we consider how vast our universe is--it makes us realize How Great is Our God. . . Like the song says, Darkness trembles at HIS voice. . . In all of this--he created us in HIS image. He loves us and wants us to LOVE him. Completly. Fully. With all of our hearts. Daily. And thrive to be more like him. Even after working last night, I am still worshipping in my heart this morning. Good night. Or to most of you all Good Morning. In the Christmas Spirit. . . I have been cleaning the house and getting ready to put up our Christmas tree next week. . .I can't wait. . I love Thanksgiving, but my favorite holiday is Christmas. I love to try and show the kids as much as possible what the true meaning of Christmas is. I have a goal this year to do a sort of Advent Calendar--but with the purpose being to do "something" that shows the kids the true meaning of Christmas each day during the month of December. I plan on blogging what we do-as a way of "making sure" we do it each day. Sometimes with our busy schedules, parties, gifts, shopping, cooking and baking--we forget the true reason we celebrate this season. . Jesus. . Don't think I plan on moving right through Thanksgiving into Christmas. . . I am just in preparation mode : ) So I thought I would do some Blog decorating also. . .Hope you enjoy my new Christmas banner, and thought I would put some of our family's favorite Christmas songs on here. . . Enjoy. . . Baby it's cold outside by Bing Crosby is James' favorite song--He wanted me to make sure it made the blog playlist. . Notice, I put it first(but I did make the songs where they play randomly, not in the order you see them). . .Love you James. . . I haven't posted about our lizard family in a while. . . We mourned and were saddened by Lenny's death, but we did get the opportunity to adopt his brother. Ian named him Ollie (after his part in the Best Chistmas Pageant Ever). 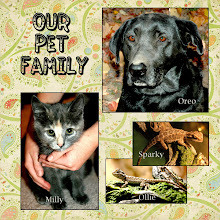 Ollie and Sparky get along very well. . .we have read up on Beardies and how they interact together ect. and one of the things they do to keep warm is to lay together. . . They are the cutest things. . .(Did I say that lizards are cute??? I hate to admit it, but I love these little guys--and I do seriously think they are the cutest things. .)I said You can really tell our lizards love each other, because they are always together. . : ) I know I have lost it. . . .But anyway, here is a picture of them together, Ollie is the one on the bottom. . . I know it looks like a questionable position--but remember these guys are only 11 weeks old. . . Too young for what you are thinking about!!!! Get your mind out of the Lizard Gutter! Hee hee. . .
My dad is on the committee for creating a new and updated church web site. . He called and said for me to check it out. It went live like 30 minutes ago. .It looks great! Be sure to check it out. . . Yes, you guessed it, another story about something my kids said today. . .We were on our way to HMG office, and came upon the red light on Stone Drive, intersection of Eastman Road--when the following conversation took place in our van. Ian"That isn't the Taco Bell Cade," Ian said"That is Waffle Bell". . .
James and I started cracking up. . ."Ian that would be Waffle HOUSE not Bell!!" Ian laughed at himself, "I don't know why I said that. . ." he said shaking his head laughing at himself too. . . I told Ian when he said it--Ian, you know that one is "Blogworthy!" Hee hee hee. . .
Just looking for a certain song on youtube and came upon this scene from my favorite movie EVER. . .The Notebook. James and I both sat and watched this movie and just cried like crazy. I have it, and have watched it numerous times, and cry every time! So sweet and romantic. . .This kiss scene is my favorite. . .thought I would share. . . I just finished working 4 out of 5 night shifts in a row. I just wanted to blog about how blessed I am with my job. For years I wanted a job where I could still be the mom that I longed to be--helping out at school, going to parties, being home to care for a sick one. Working 12 hour shifts at the hospital--just wasn't possible. My job at Nurse Connection is an answered prayer. I have said it over and over, but God knew what he was doing all of the times that I "thought I found my way out of the hospital". He needed to be right where I was, so I would be able to be where I am now. Some of my best friends are my co-workers. I have never had a job where I could say that. But we have a special bunch of ladies that I work with. To have a job where most of your friends are Christians, and that bond of "fellowship" is so strong--just a wonderful feeling. Thankful is how I feel this morning, not exhausted from night shifts, just so thankful to be blessed. I usually post things about my family or my "life" events. Trying to keep everyone updated on the goings on of the Allen family. Today is different-I have been doing a Bible study at church which has really jump started my prayer life. I have always known the importance of praying, and spending time in God's word--but the business of life seemed to get in the way. This Bible Study has opened my eyes to "getting back into God's word" . It has really focused on relationships, and the importance of having them. The most important relationship of all--Ultimately a precious relationship with Jesus. This bible study has touched my heart, and then I recieved the following email. I thought it perfectly summed up how we should face the relationships in our lives. Thought I would share it with you this morning. . . . Relationships are an important part of life. We begin a relationship with someone from the moment we are born and most of us will continue in relationships of some sort until the day we die. God encourages relationships. The Bible is full of them. It is obvious that from the beginning of time, people need people. Even God Himself said about Adam in Genesis 2:18, “It is not good for man to be alone. 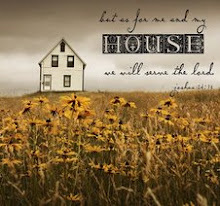 I will make a companion who will help him.” Jesus, too, did not do life alone. He had His family, friends, and disciples to love, help, and encourages Him throughout His life here on earth.Today, I want to take a look at the different relationships in our lives. I also want to point out the importance of prioritizing them. Friends, if you want to lead a balanced life with purpose, it is crucial to order the relationships in your life God’s way. Number One: Your Relationship with God. This should be the most important relationship in your life. Don’t say that you don’t have time– you do. We make the time for what is important to us, don’t we? The way to get to know God better is to spend time in His Word. Try spending at least fifteen minutes of uninterrupted time with the Lord every day. More would be better, but do what you can to develop the habit. 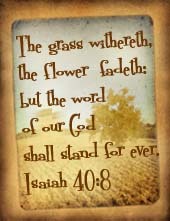 God’s Word will teach, equip, cheer, encourage, and guide you. Number Two: Your Relationship with your husband….if you are married, of course. Just like it’s important to spend time with God, it’s also important to make time for your husband. I have found that this relationship is the one that takes the most effort for me. I love my husband dearly, but I also take him for granted the most. 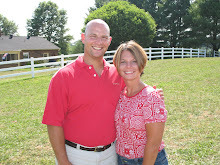 It’s easy for me to allow my children, friends, or just busyness to get in the way of time with my husband. Set aside time each morning and evening to communicate with your husband in some way. Hug and kiss often and say “I love you” whenever you get the chance. Let your actions show him and others that you respect and honor him. One thing that my husband and I have started doing again is dating. Just like before we were married, we go out on dates. It takes time, effort, and often money, but it’s worth the investment. If money is tight, create a date at home or go to the park or for a walk together. Whatever it takes, spend time alone together, and make it a weekly habit. Number Three: Your relationship with your children….if you are a mom. When I became a mom, I did not know what I was in for. I had no idea the extent of sacrifice it would take to raise my children. It’s worth every bit of it too. I once read that kids spell love - T I M E. I believe that with all my heart. 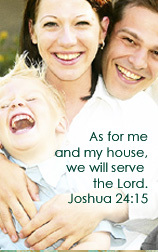 God’s Word tells us that children are a gift from Him. We are to treat them like that, a gift. Motherhood is a high calling….possibly the highest we will ever have in our lives. It requires time and special attention. They are only with us for a short time, so let’s make the most of it. Dear Lord, Bless the relationships in my life and help me to prioritize them according to Your perfect plan. Above all, I pray that we would grow closer each day. Help me to know you better so I can better give myself to others. In Jesus’ Name, Amen. Today the Wildcats played the Raiders for first place in the Championship game at Dobyns Bennett. . . We won 20-6!! The boys were so excited to get to play on DB's field. . . Ian had a really good game. . He scored a touchdown, and lots of great tackles. The entire team played so good--they gave it 100%! I took a ton of pics from the game. . . but decided to mostly post some Post Game Celebration pictures! The boys dumped water and Gatorade on James after the game was over. . .Blue Gatorade. . . They were so excited that they weren't thinking that perhaps the blue Gatorade might stain. . . James didn't care. He has his sweatshirt at home soaking right now. . . Don't want to ruin that Wildcat sweatshirt. . . : ) James is planning a Football "Get-Together" in a week or so to give out trophies, and CELEBRATE our championship! (They were giving trophies out of the back of a UHaul truck--I guess that only happens in TN--"Please meet at the UHaul for Trophy Presentation"--Hee hee. . . ) We have lots of good friends on our team. . .So we will miss hanging out 3 days a week with them! Here are a few pics from the night. . . Boy was it cold!!!! Ian running a play--Got lots of great pics of him with my new zoom lens!!! Here is a shot of Ty Fuller, Noah Absher, Davis Carter, and of course--my Ian!! They are so excited! Noah's mom brought big cookie for a "little" celebration right there on the field. . . Here is the Wallen gang--Duffer, Nicole, Rylee, Davis, and Jett. . . Proud Parents!!! Papaw Horne sat with Mamaw in the van and the end of the endzone. They didn't want to sit out in the cold and freeze like we did. . . so they watched from the comfort of the van. . . Papaw even blew his horn when Ian scored his touchdown. Jett and Cade--Big Buddies. . . . Proud Mommy with her Super Star!!!! Great Job Ian!! I Love you!!! Here is Ian with Tanner and Tyler Holt. . . 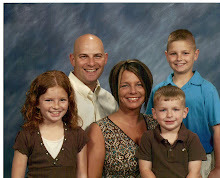 Here are our good friends the Hite's. . .Kevin is one of the Super coaches of the Wildcats!!! Great Job coaching Kevin!!!! Hunter had a few great runs too!! I do have a few more pics to post from tonight, but I had to go to work(where I am now--you know you are addicted to blogging--if you blog from work : ) and I can't upload pics while I am here. . .Will do that sometime tomorrow. . .
We love our Wildcat family. . .but all good things must come to an end. It is sad to say this will be our last year as Wildcats. . Because next year Ian moves up to a different age bracket. . .So sad. . . We only have one more year of Boys Club Football--then Ian will be playing for Robinson. . . .I can't believe that. . . I guess we will start all over with Mr. Cade. . .Because he will start flag next year. . . I guess the motto for the Allen's could be, " Are you ready for some football?"